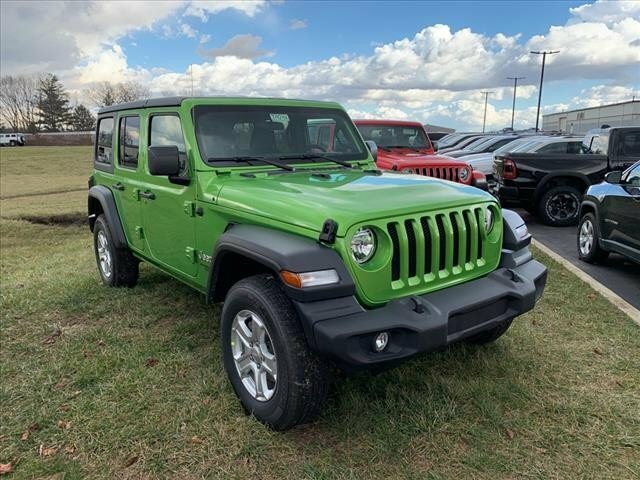 This GREEN 2019 Jeep Wrangler Unlimited SPORT might be just the SUV 4X4 for you. It comes with a 6 Cylinder engine. We're offering a great deal on this one at $42,815. The exterior is a beautiful green. Equipped with Bluetooth technology, enjoy your favorite electronic devices wirelessly. Call today to schedule your test drive! Contact Information: Erwin Chrysler Dodge Jeep, 2775 S Co Rd. 25a, Troy, OH, 45373, Phone: (937) 335-5696, E-mail: pat@erwinchrysler.com.